Portuguese cork harvesters are among the highest paid agricultural workers in Europe, and it is a highly skilled endeavor requiring years of experience and training. The harvest normally takes place in early summer. A very low-tech, non invasive and time-consuming method is used for the harvest: these men climb on a ladder next to the tree, and using a specially designed ax, very carefully cut into the inches-thick bark - not too deeply, or it will injure the tree- making a long, vertical incision the length of the trunk, and then horizontally, and next simply "peel' the material off in a long strip on bark. 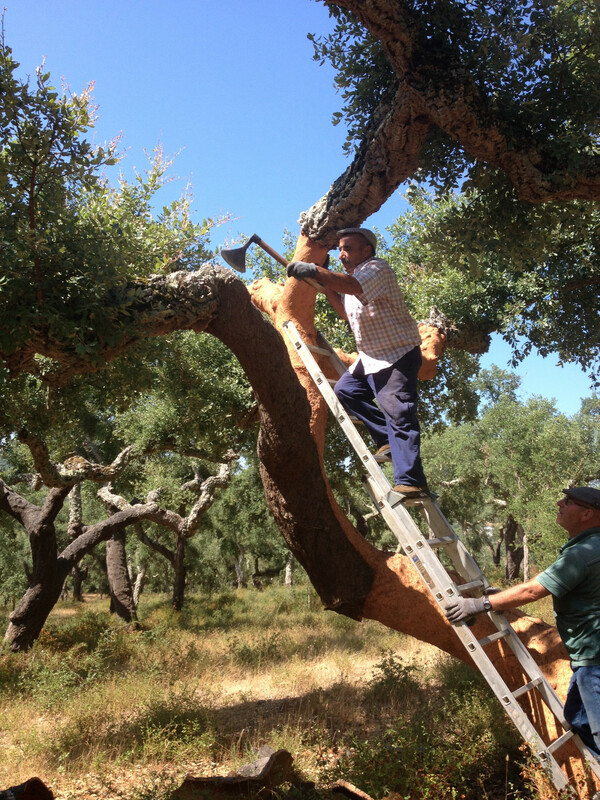 EcoCork is proud to be contributing in its own small way to stimulating the Portuguese economy by helping to maintain these jobs, as well as preserving the intricate ecosystem of the "Montado", or cork forests, which cover a good portion of southern Portugal.